Surveyors determine the three-dimensional positions on the Earth and the distances and angles between them. This information is used to create maps of an area. It is also used to establish boundaries for owners and to situate new buildings on properties. It is a profession for those with brains and creativity. In order to begin work in the surveying field, it is important to have a college degree. While there might not be a specific “land surveyor” major at most traditional universities, those who wish to enter this field must have a firm understanding of mathematics. The areas of geometry and trigonometry are essential to calculating the angles and distances between objects. Additionally, surveyors need to have experience with engineering and physics if they want to specialize in construction. Many technical colleges offer both associate and bachelor’s degrees in mapping, geomatics, and even surveying. These majors are certain to help students reach their surveying career goals and help get them on the road to state licensure in this field. The computer boom has made the use of computer software an integral part of the job. Computing power allows for better statistical analysis and the creation of metadata in order to have more accurate positional information. In order to continue to develop these programs, new surveyors should seek an understanding of programming code. 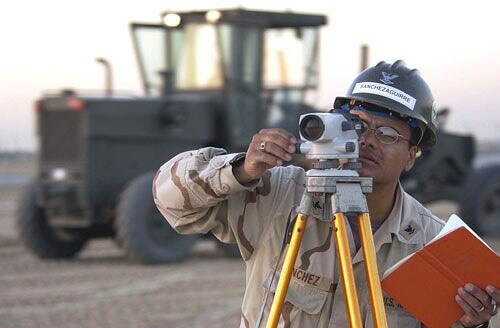 Surveying is a diverse career with many unique paths to choose from. For example, those who want to create aerial maps and enjoy photography may consider the path of a photogrammetrist. In this specialty, the surveyor takes aerial photos of terrain in order to create detailed three-dimensional maps, which include topography, existing structures, and vegetation. The maps are used to help track oil spill movements in order to determine any coastal community impact. Another interesting specialty in this field is that of forensics. Forensic surveyors analyze, collect data, and map areas for use as evidence in impending court cases. Some examples would be boundary disputes, vehicular wrecks, and industrial accidents. Those choosing this path must be able to communicate effectively. They need to understand the technical aspect of surveying while being able to explain it in a non-technical way to laymen. Surveying is anything but a boring career. It provides an outlet for a wide range of skills including physics, mathematics, photography, cartography, and forensics. It’s perfect for professionals who want to get out of the office and break the 9 to 5 routine.